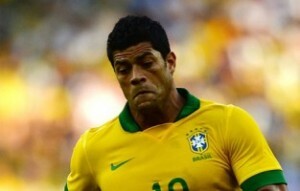 It has been revealed that Zenit St Petersburg striker Hulk is eager to hold talks with Chelsea. The Daily Mail reported that the Brazilian international wants a move to Stamford Bridge but has asked for negotiations to be postponed until after the Confederations Cup. The 26-year-old striker is on international duty with Brazil. He is also wanted by Monaco but wants his club Zenit St Petersburg to accept Chelsea’s £34.9million offer.